It won't be long before my new website launches! We've put a lot of work into making the site informative and user friendly. 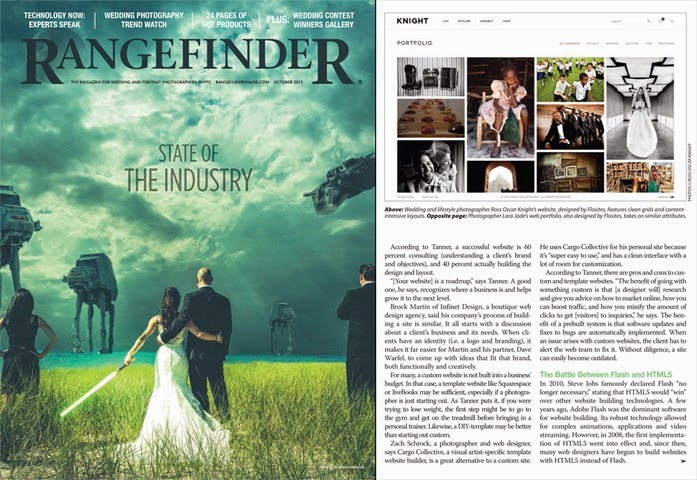 A preview of the site was published in the October 2013 issue of Rangefinder - the award-winning monthly magazine and premiere website for wedding and portrait photographers. Its also the official publication for Wedding and Portrait Photographers International. This is truly superb, Ross.